Happy Wednesday and welcome back to The Blended Blog style. We hope you'll join us and link up your fashion posts below, and check back to see if you are featured. If you hopped over to see where I bought this $5 tshirt, I'm glad you're here! There are only five days until Christmas, and I've been busy wrapping and baking and trying to keep my head on straight. This outfit is perfect for finishing up those things around the house. Plus, I can still answer the door when the UPS guy brings more packages! 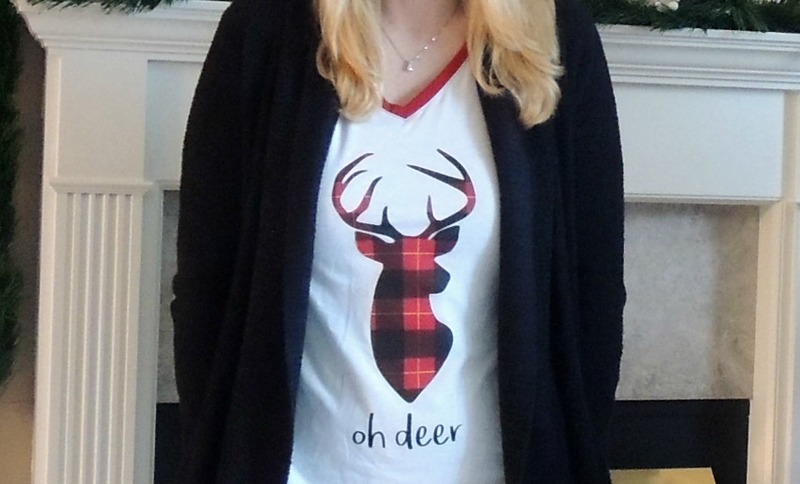 I'm wearing my favorite circle blardigan, hue leggings, and this cute "oh deer" shirt from JCPenney. I can't find it online, but they still have it in stores. This shirt cracks me up!!! Oh deer Lana, that shirt is cute and you're right - gotta look presentable when the UPS guy comes! I hope you have a wonderful and cozy Christmas with your precious family! Haha, I actually say that often! Your tee and Whitney's very similar one are so cute. Perfect for the holidays. Merry Christmas!! 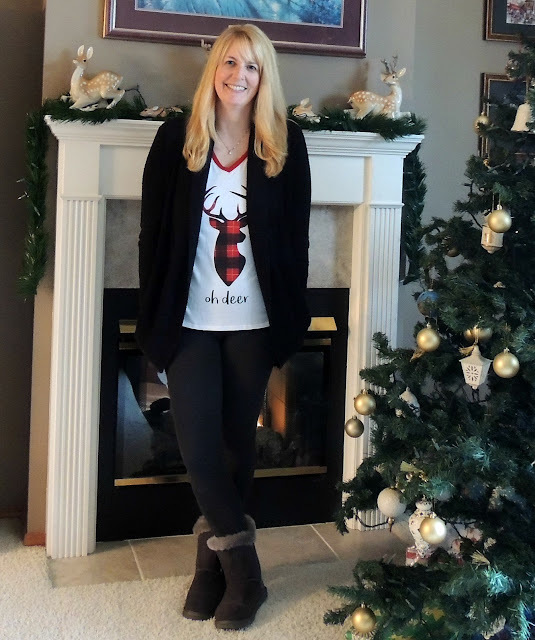 Great holiday style! Our UPS man comes daily these days and I think I want to dress up in my moose suit at some point.